Of course you are! Finally, you can fix your broken track problems and buy durable, long-lasting, reliable tracks without breaking the bank. We offer the HIGHEST QUALITY & MOST AFFORDABLE RUBBER TRACKS, STEEL TRACKS, BOBCAT TRACKS, SKID STEER TRACKS, OVER the TIRE TRACKS, and UNDERCARRIAGE PARTS for every construction and farming machine that there is. We have the experience and the expertise to create customized, personalized, and specialized solutions to your most important equipment and parts problems. 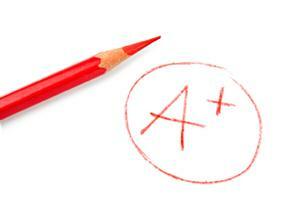 We have an A+ customer approval rating! Give us a call today and let us help you too! Claim your $100.00 PURCHASE COUPON now! Enter your e-mail to join our mailing list today! WE LISTENED TO YOU: We offer FAST SHIPPING! A GREAT WARRANTY! Easy & QUICK COMMUNICATION! The HIGHEST QUALITY PRODUCT! A FAIR PRICE! You can feel safe doing business with us...we've been in business for over 16 YEARS! "I just wanted to call and say thanks. I can't believe how much better these tracks were in the snow on my long, steep, driveway than the other tread pattern that I had. That's all I can say...is thank you." "Thanks for helping me find that part. I was wracking my brain on the internet and making phone calls and getting nowhere." "I'm really glad you're not just a salesperson and actually know about tracks. I just had to ship the wrong size tracks back from another company." 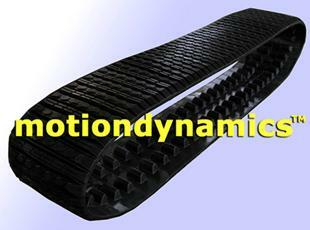 motiondynamics™ RUBBER TRACKS Continuous Cables have no joint and NO WEAKNESS! 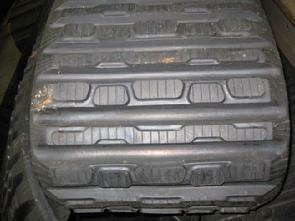 TAKE NOTE: Rubber Tracks with continuously wound cables are good- they are strong and last a long time. 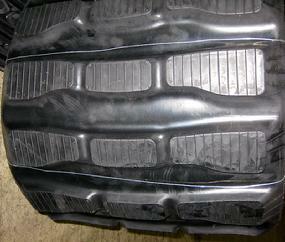 But, Rubber Tracks with overlapping joints are bad- they are weak and can fail prematurely. 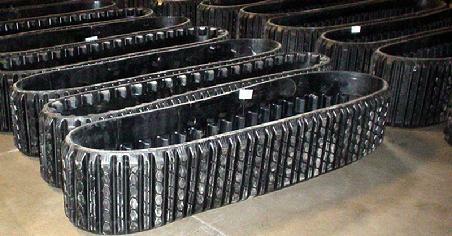 Your Rubber Tracks need the right kind of cables to be strong and last long! 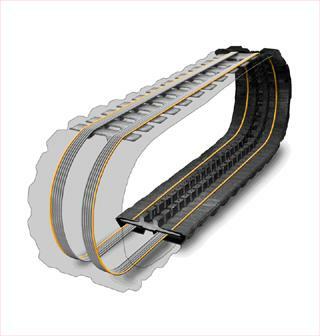 If you own a Caterpillar or an ASV Rubber Track Loader, then motiondynamics™ has a Rubber Track for your CAT 247, CAT 257, CAT 267, CAT 277, CAT 287 and your ASV RC30, ASV RC50, ASV RC85, ASV RC100, ASV 4810, ASV 4820, and all other CAT and ASV Rubber Track Loaders. 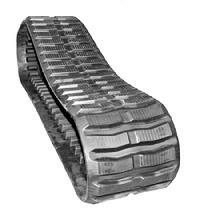 Our tracks feature super-flexible cords, very tough high-grade rubber molding, and we have multiple tread patterns to choose from! 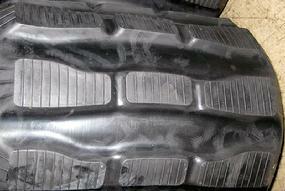 3 TREAD PATTERNS to choose from! 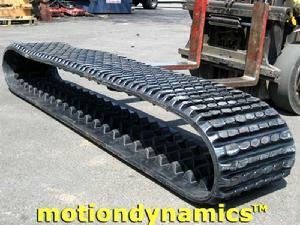 motiondynamics™ aftermarket CAT/ASV RUBBER TRACKS in stock! We have a huge inventory! 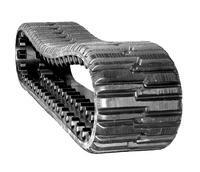 We stock Rubber Tracks for over 2500 makes and models! 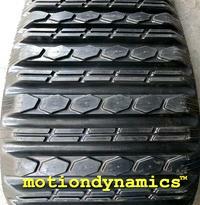 "Welcome to motiondynamics™ RUBBER TRACKS- a subsidiary of MOTION DYNAMICS, LLC. I'm company CEO Stephen Wargel and I'm committed to providing you with up-close personal attention and the highest quality customer service available. I offer products and services which continue to give my clients and customers value over the long haul; moreover, I am always there...just an e-mail or a phone call away...ready to help you in any way I can. 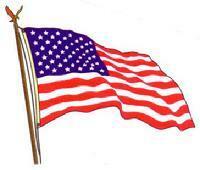 Please stay in touch and thank you for your business!" TM & Copyright © 2009-2017. 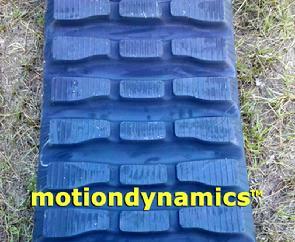 MOTION DYNAMICS, LLC, motiondynamics®, motiondynamics™ RUBBER TRACKS, motiondynamicsrubbertracks.com™, "We keep your machine in motion"™, "TIRED of BROKEN TRACKS? 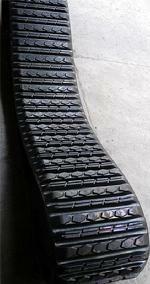 "™, and "TIRED of BROKEN RUBBER TRACKS?"™. ALL RIGHTS RESERVED.